Most experienced weightlifters favor free weights such as dumbbells and barbells. If building significant muscle mass is your goal then free weights are the best option. Dumbbells are safer than barbells in that you can push yourself to failure on most exercises without having to worry about being crushed by a 250lb barbell. A disadvantage of free weights is that certain exercises are hard to perform. There's nothing really you can do with free weights that mirror a lat pulldown machine for your large back muscles. Working your legs is also tricky because the amount of weight they can handle is usually more than is safe to perform with a training partner to spot you. Of course, the lack of a spotter is the biggest disadvantage. 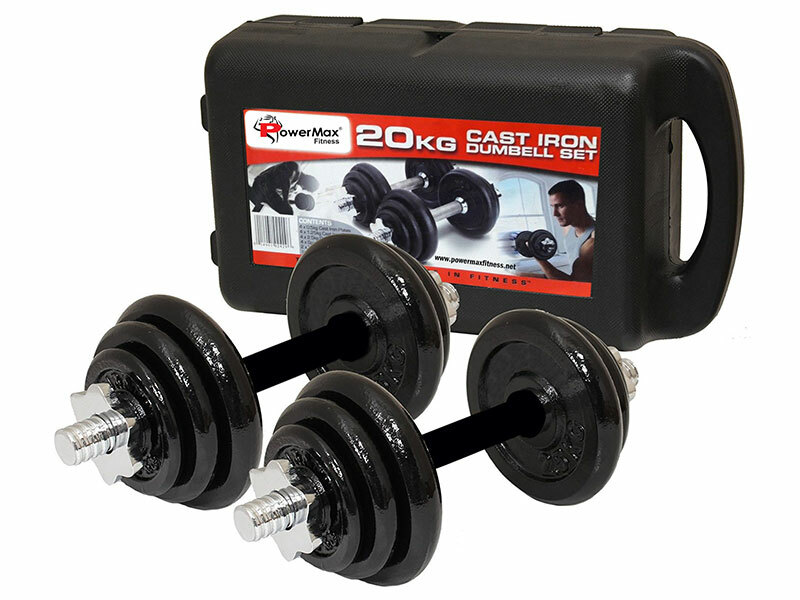 In terms of price free weights are cheaper than other types of weight lifting equipment such as home gyms. Having said that, once you've bought enough weight to overload your largest muscle groups and added the cost of a weight lifting bench there might not be much different. Free weights' are weights, whose motion is not constrained by external apparatus. The most experienced bodybuilders & weightlifters throughout the world favor free weights over weight machines (weight machines such as Multi Gyms or Cable Machines). Whilst weight machines are still an important part of any strength training routine they do not offer the same benefits as free weights. Using free weights such as dumbbells, barbells or Kettlebells incorporates the stabilizing muscles that enable you to perform the exercise movement. Using stabilizing muscles to lift weights will make you more effective in producing overall muscular strength and power. Free weight exercises are more closely matched to the natural movements of your muscles and joints. Free weights help improve your overall balance and coordination. You can perform a wider variety of exercises with free weights, e.g. with a simple set of adjustable or fixed dumbbells or an Olympic or standard barbell set you can perform hundreds of exercises. Whereas using a strength machine you are limited to the number of exercises that can be performed. The costs of weights are inexpensive; they are also portable and use little space in comparison to strength training machines. The first thing to appreciate is that there are two types of free weight training bars and discs. These are by far the most popular for home use. The diameter of the weight training bar and the hole in the disc is one inch (25.4mm). However, 30mm weight training bars and discs are also available. Standard weight discs come in the following sizes 1.25kg, 2.5kg, 5kg, 7.5kg, 10kg, 15kg, 20kg & 25kg. 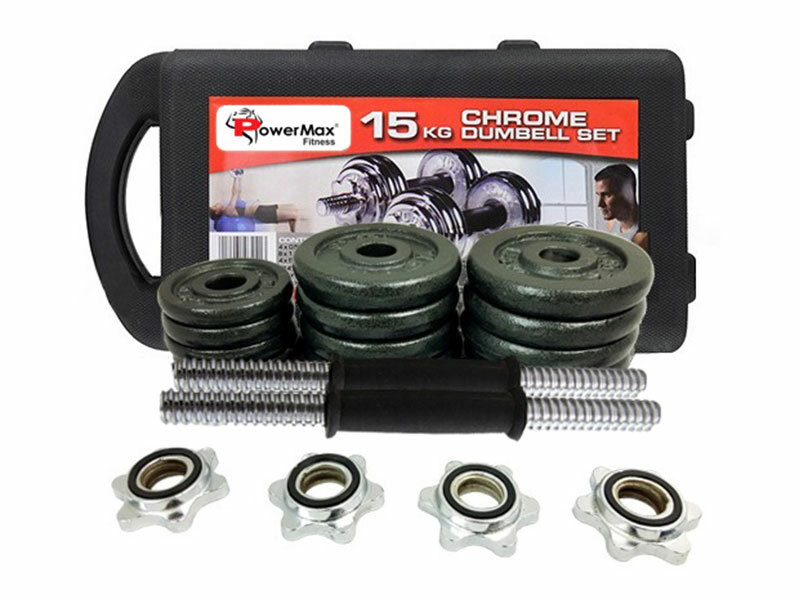 They are perfect for the beginner and intermediate weight trainer as most barbell bars will take up to 120-130kg. If you think you will be lifting more than that then look at buying Olympic weights and bars. 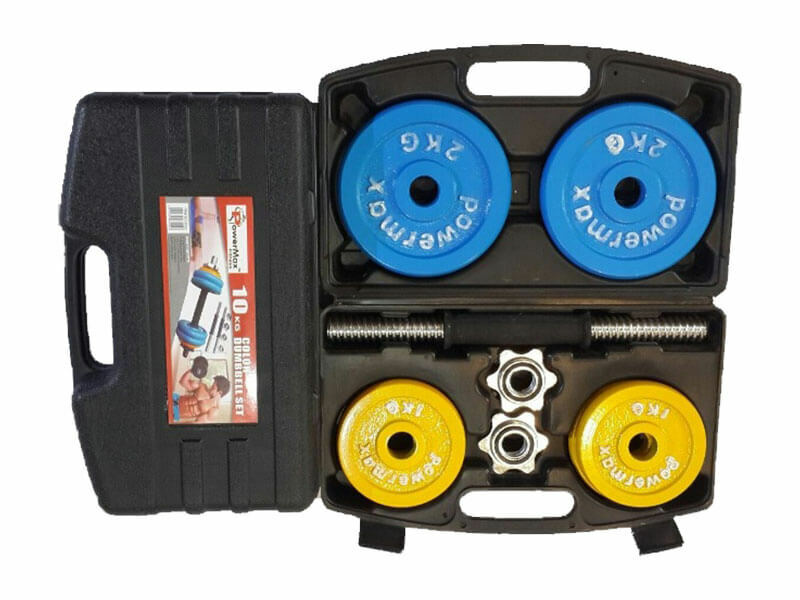 With a two inch (50.8mm) diameter bar and disc hole, these weight training bars and discs are bigger than their standard counterparts. 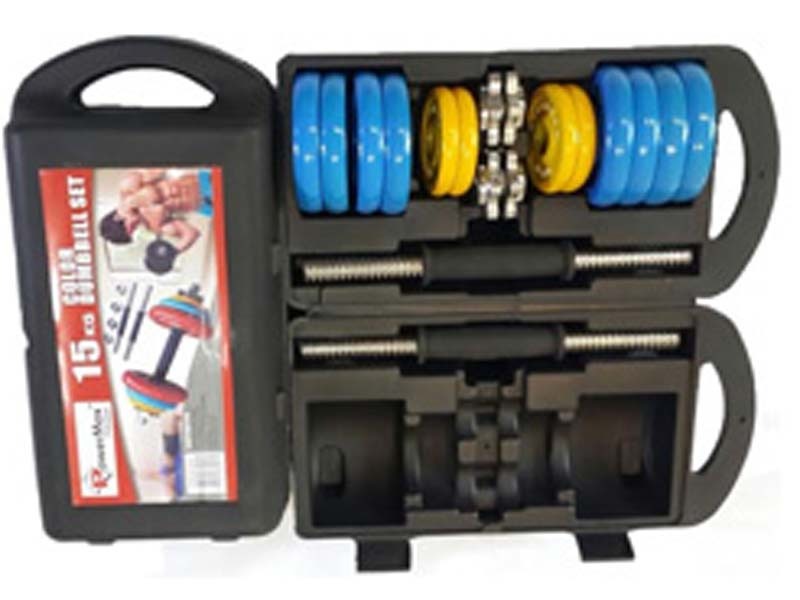 They are designed for the experienced and serious weight trainers. Olympic barbells start with a 250kg weight capacity and go up to 750kg. The Olympic discs have a starting weight of 1.25kg and then go up in similar increments as the standard range but to a maximum weight of 50kg. Both Standard and Olympic Weight training bars and discs can be purchased in specific weights sets. Buying this way can be cheaper in the first instance but you may be buying weight discs that may be either too small or too large and that you don't particularly want. Dumbbells (sometimes referred to as hand weights) have a weight plate attached at each end of a dumbbell bar. 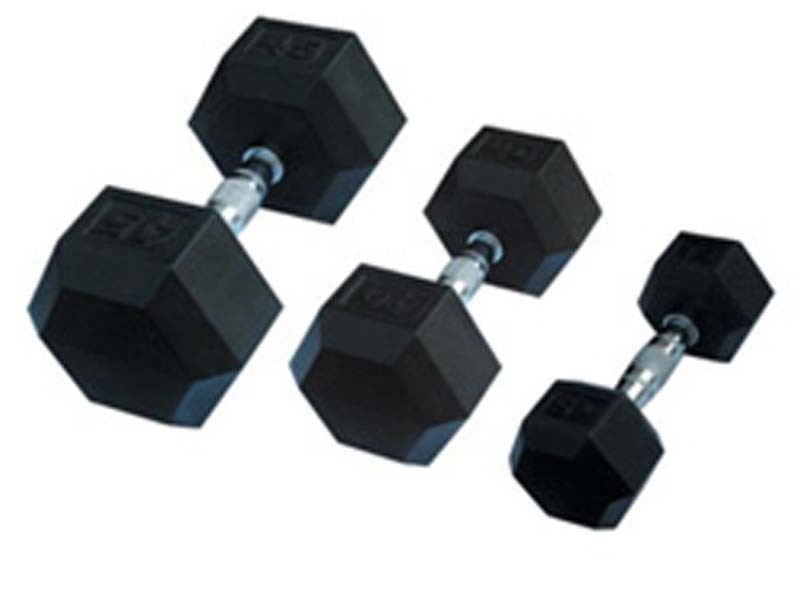 Dumbbells are great for the strength trainer who is conscious of workout time and also has the available space. A full set of dumbbells will allow you to quickly and easily transition between dumbbells. Probably one of the oldest forms of weight training. A Kettlebell is a ball-shaped weight with a handle on top of it. The original ones were made of solid cast iron but today they can come rubber coated and even adjustable. They usually have a starting weight of 2kg and go up to 40kg. You need to know how to use a Kettlebell to get the best out of it but there are so many exercises that you can perform that once you do you will find them enjoyable to use. Kettlebells offer a variety of strength training and endurance workouts for a minimal cost, they also take up minimal space, making them ideal for everyone. Standard weights are smaller in comparison to Olympic weights and are recommended for the novice/beginner. 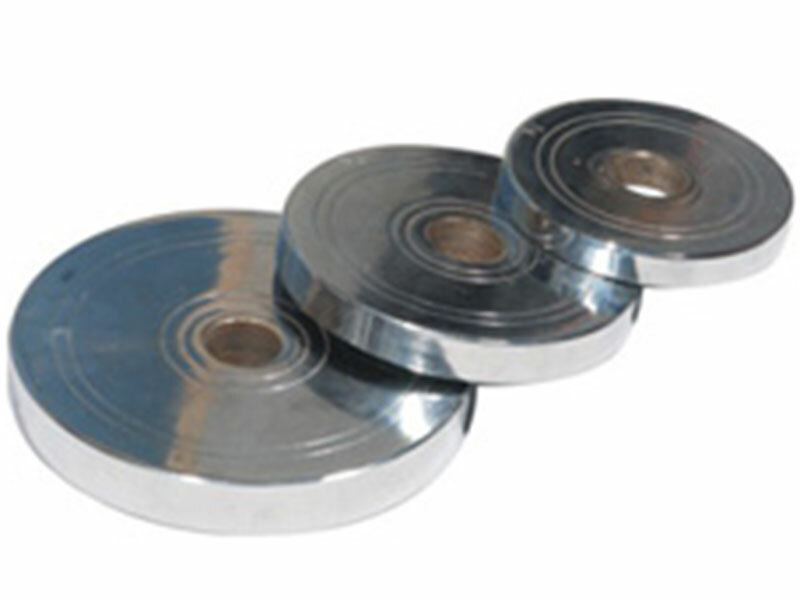 Standard weights have a 1-inch diameter hole in the center of the weight plate. Standard weight plates come in the following sizes: 0.5kg, 1.25kg, 2.5kg, 5kg, 10kg, 15kg, 20kg & 25kg. A standard barbells maximum weight is around 120kg, once you are lifting near this limit you will need to consider Olympic weights. Olympic weights are larger than standard weights and have a 2-inch diameter hole in the center of the weight plate. Olympic weight plates come in the following sizes: 1.25kg, 2.5kg, 5kg, 10kg, 15kg, 20kg, 25kg & 50kg. Olympic weights are better suited for intermediate/advanced strength trainers who are lifting heavier weights than the novice/beginner lifter. Olympic Barbells are also stronger than standard barbells with a maximum weight load up to 750kg! Cast iron weights are by far the most popular disc due to their low price compared to other discs. Available in both Standard and Olympic sizes. 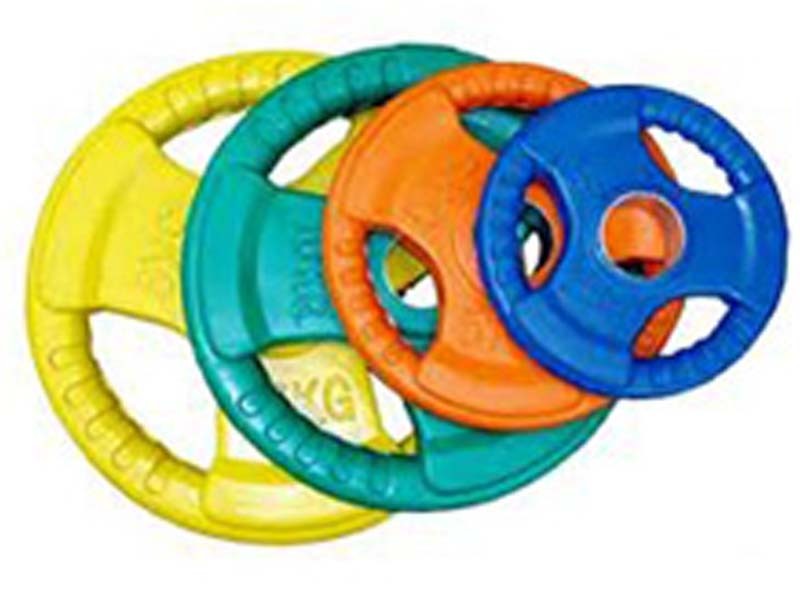 Bumper grip weights usually have a 2 or 3 grip design which allows easy transition of the weight. 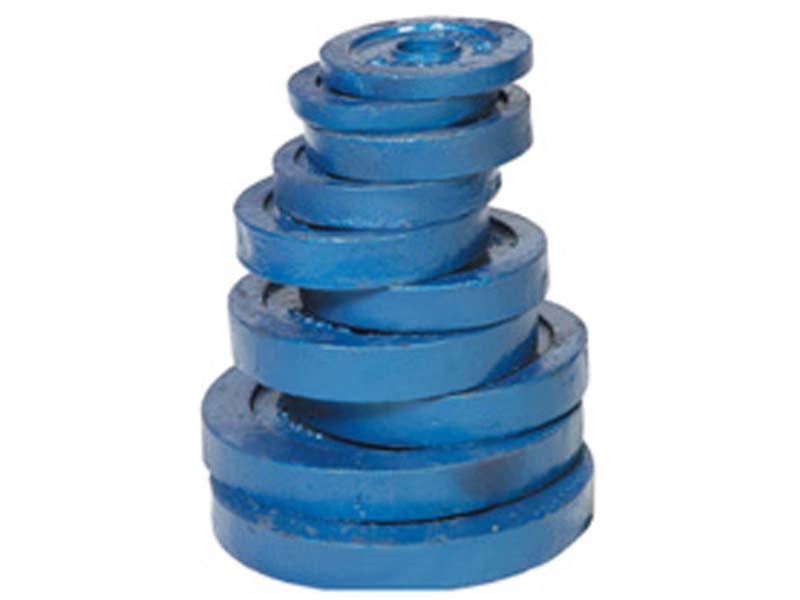 The rim of the weight plate is surrounded by rubber which helps protect the weight from chipping and also reduces the chances of floor surfaces scratching/damaging. 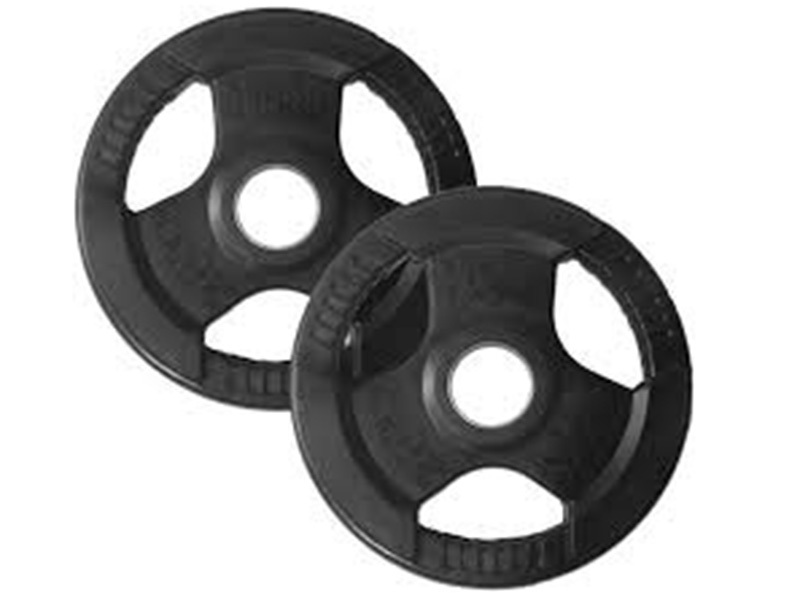 Rubber encased weights are the most expensive weight training discs but are incredibly hard wearing and also excellent at reducing damage to floors if dropped. The rubber coating helps protect the weight from chipping and also reduces the chances of floor surfaces scratching/damaging. Kettlebells have become one of the most popular trends on the health club scene. On any given day, you can see everyone from housewives to celebrities to business executives or professional athletes and trainers performing the most advanced kettlebell routines with perfect form. Now thanks to Powermax, you can enjoy the many benefits of kettlebell training in the comfort and convenience of your own home. Kettlebells, best described as cannonballs with handles, these iron spheres originated in Russia as the muscle-building tool of choice for Red Army soldiers and athletes are cast iron weights, which resemble a cannonball with a handle. The kettlebell has long been a favorite for those seeking a special edge in strength and endurance. Kettlebell training develops strength, power, endurance, and balance. Kettlebell workouts have long been a favorite of throwers, jumpers, sprinters, and hurdlers. Today "KB" workouts, which produce particularly impressive gains in the legs, hips, and shoulders, are all the rage. There are more muscles involved in balance and leverage with the kettlebell; you work every muscle just keeping them up and moving them around you. By training with Physique kettlebells, you'll achieve strength, endurance and body shaping as you build core strength with every successive workout. Powermax Kettlebells are available in from 2Kg. to 40 Kg. Purchase a complete set of variables and a steady progression to the intensity of your workouts. The balls in your court for upper body, lower body and core exercises ! Powermax Medicine Balls add resistance to a variety of exercises and can be used to activate and strengthen core muscles that can be difficult to target during traditional training routines. Medicine Balls are ideal for everyday use because they are compact enough to keep in any room. Ideal for a wide range of upper and lower body exercises, including crunches, rotational twists and leg raise. Incremental weights between 1 Kg. and 5 Kg. lets you vary the intensity of your routines. Unlike weight machines that isolate and train individual muscles or muscle groups, medicine balls can be used to train the body to function as a unit. Gripped between the palms of your hands and swung in a variety of motions, they allow you to move freely through a full range of motion during exercise. They can also be used to increase dexterity, reflexes, and coordination by bouncing then against a wall or passing them to and from single or multiple partners. Powermax Medicine Balls are a great way to incorporate fitness into your everyday lifestyle. They can be used on their own for a variety of twisting, squatting, lunging and throwing exercises and they are ideal for a variety of group applications like physical therapy, aerobics, and yoga. There is no question that weight training has become tremendously popular. Men have always embraced it but now women have also realized its potential. Weight training is critical for almost every goal, from injury prevention and post rehabilitation to better sports performance and weight loss. However, to achieve success from any weight training programme you must choose the right equipment and use it properly. The cheapest way to get started is with a selection of weight training discs and weight training bars. This method of weight training is known as free weight training and is the preferred choice of bodybuilders and serious weight trainers. Barbell: This is a long straight bar. They can start at four foot (122cm) and go up to seven foot (213cm) in length. They are available in both standard and Olympic sizes. They can be used for a variety of exercises including bench press, shoulder press, arm curls, and deadlifts. 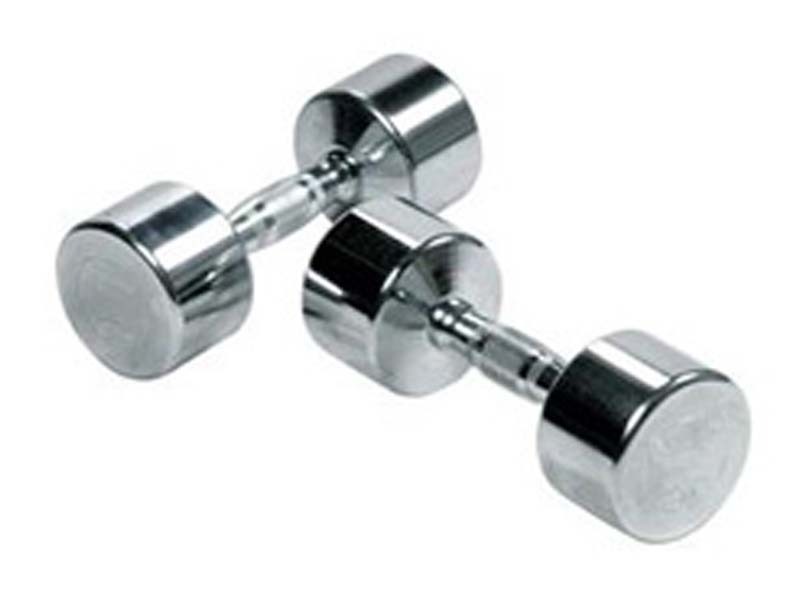 Dumbbells: These are short straight bars and usually used in pairs. They are available in both standard and Olympic sizes. Nearly every exercise in the book can be performed by all weight trainers with a pair of dumbbells. Curl Bar: Designed to do a particular job, to assist in targeting specific arm muscles. Its curly shape helps turn the wrist inwards so to help isolate the bicep muscle. Tricep Bar: Again designed for a purpose. This time the shape of the bar allows the weight trainer to grip the bar in such a way that it focuses on the tricep muscles. All the bars above can be used with free weights where you slide your desired weight training discs on to the bar. 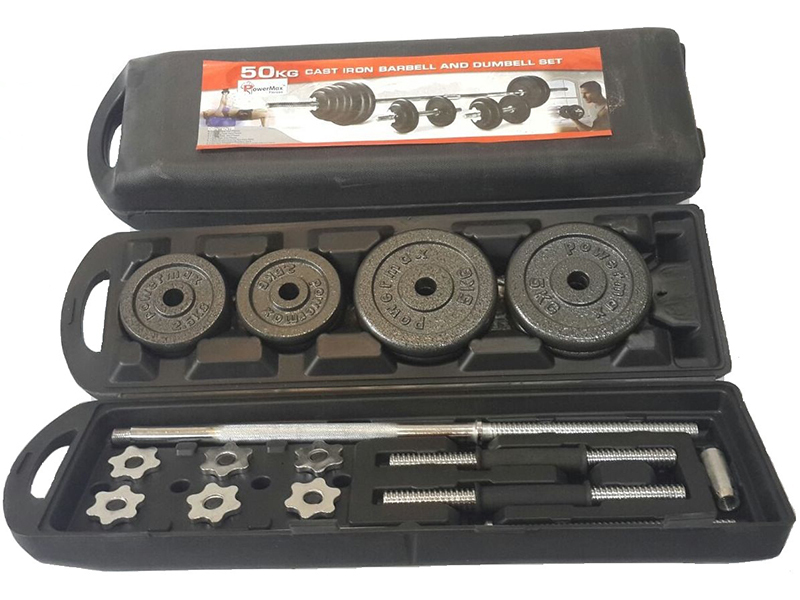 Barbell, Dumbbell, and Curl bars can also come with fixed weights were the discs are welded or already fixed onto the bar and you buy them complete. They can be finished in chrome, rubber or cast iron. 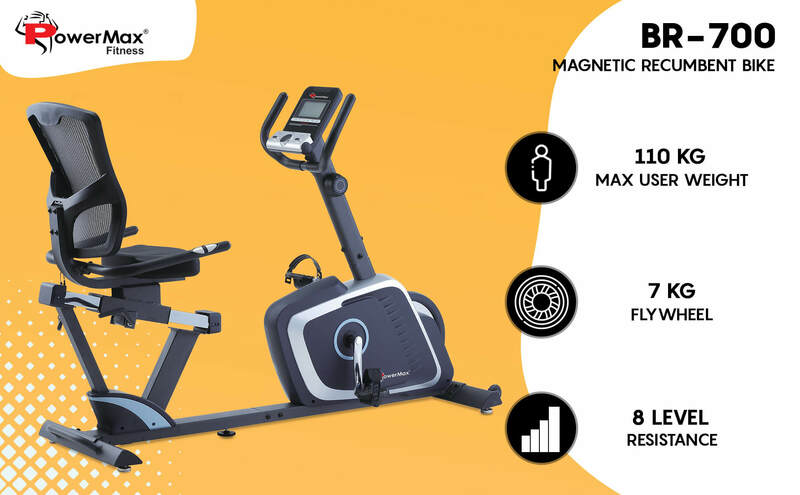 These are usually sold as professional gym equipment but have become much more popular over the last few years as home gym equipment. 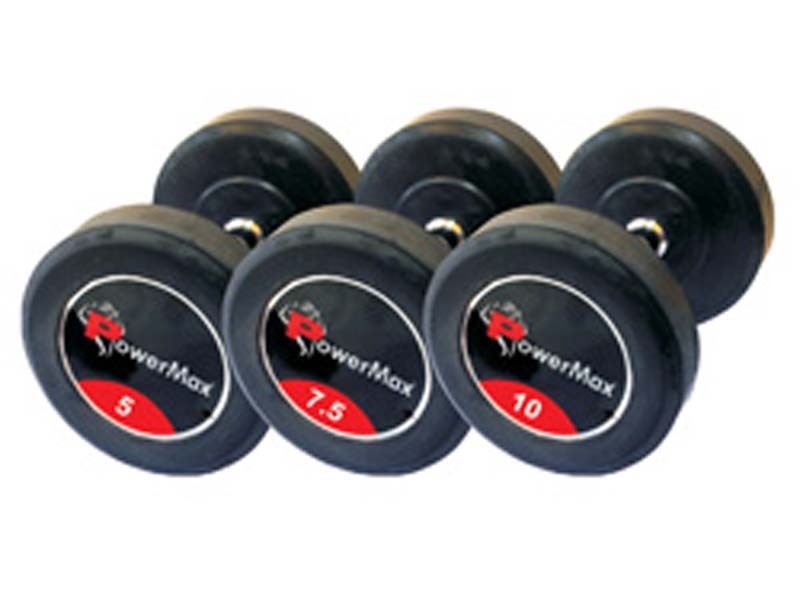 At Powermax Fitness Superstore we offer the widest selection of gym weights for sale, from weight plates, dumbbells, barbells, Kettlebells & accessories.